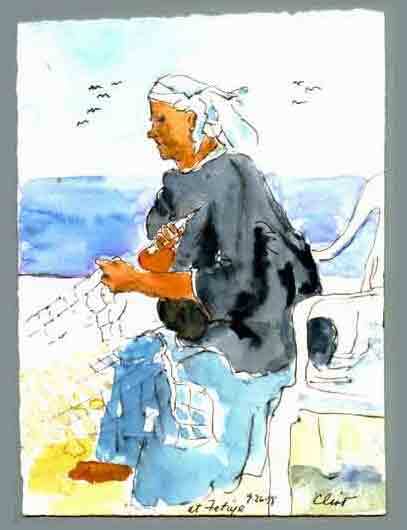 I sketch this woman repairing her husband’s fish net, as she and her ancestors have done for centuries. This seaside town, Fetiye, accommodates the yachting set in every way, with outfitters, restaurants, bars, shops, hotels, and internet cafes. We find a bar with Turkish music and dancing for our group to party.